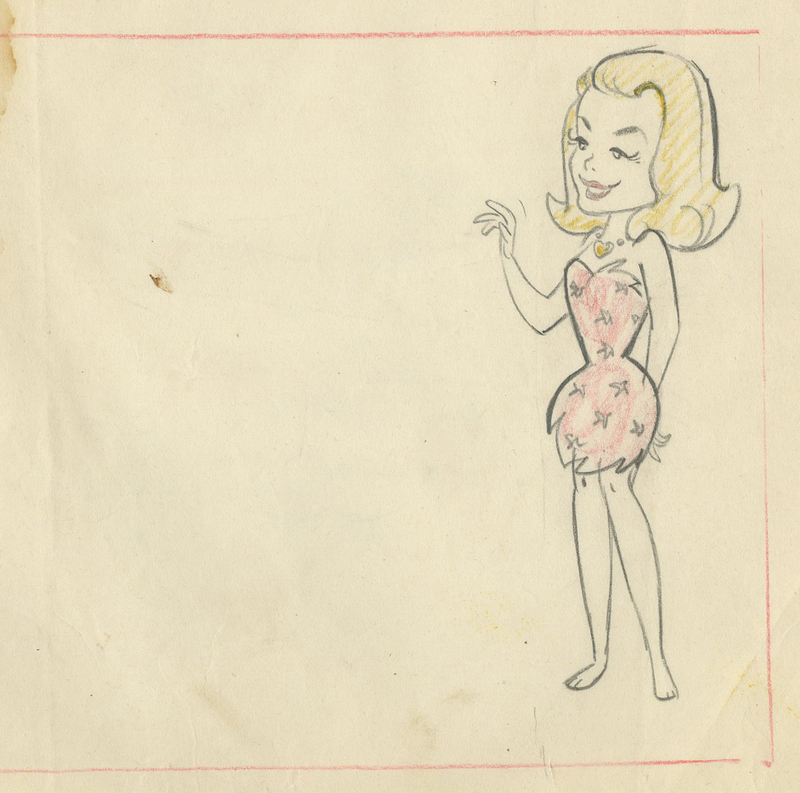 This is an original production layout drawing from the 1960s Hanna Barbera Studios animated series, The Flintstones. This particular drawing is very rare as it features an image of Elizabeth Montgomery as Samantha Stevens from the classic live-action televeision series, Bewitched. 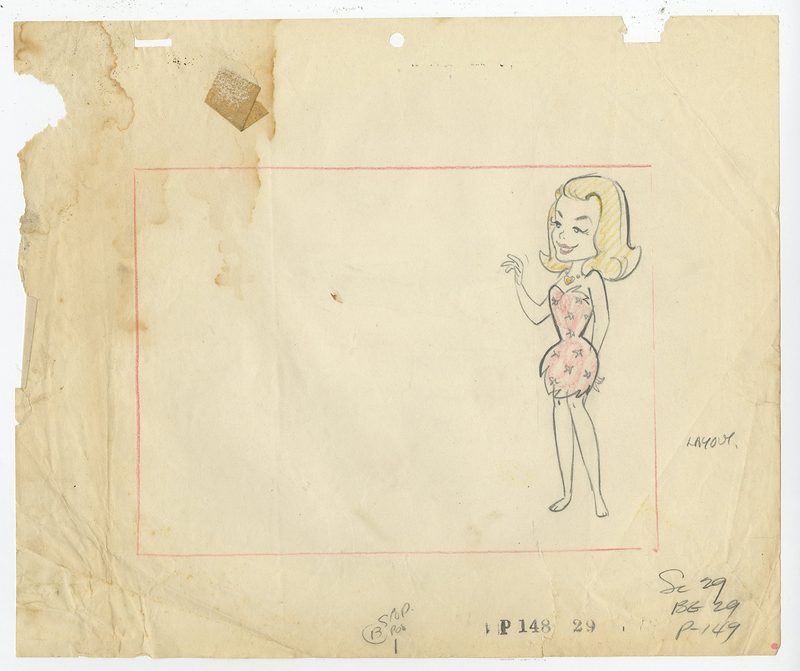 This drawing was created at the studio and used in the production of the 1965 Flintstones episode titled, Samantha. The paper measures 10.5"x12.5"overall with an image that measures 5.5" x 2.5". The left side of the paper has some water staining and there is some edge damage throughout, but nothing that affects the stunning character image.. Drawings from this episode, especially of Samantha, are extremely hard-to-find.